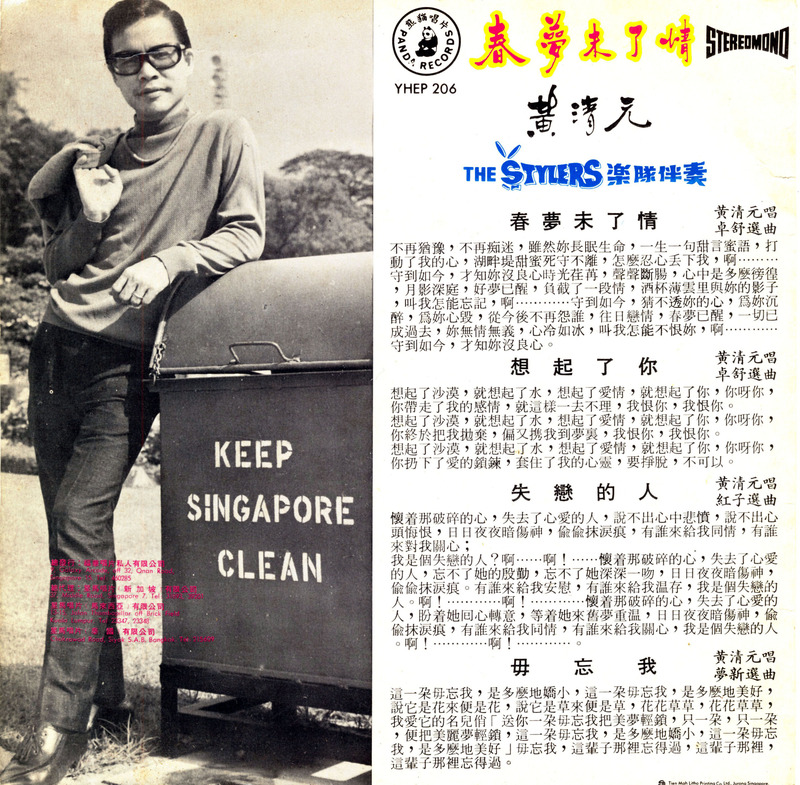 The book project transmogrified into a CD called Singapore A-Go-Go that was released on Sublime Frequencies and is still available. I had already drafted the introduction to the book that would have focused mostly on the album covers and much of that material wound up in the liner notes to the CD. While the notes were extensive, they were not exhaustive. Instead of letting the unused material just sit on my hard drive, I figured I’d post it here. So here’s the excerpt based on the interview. 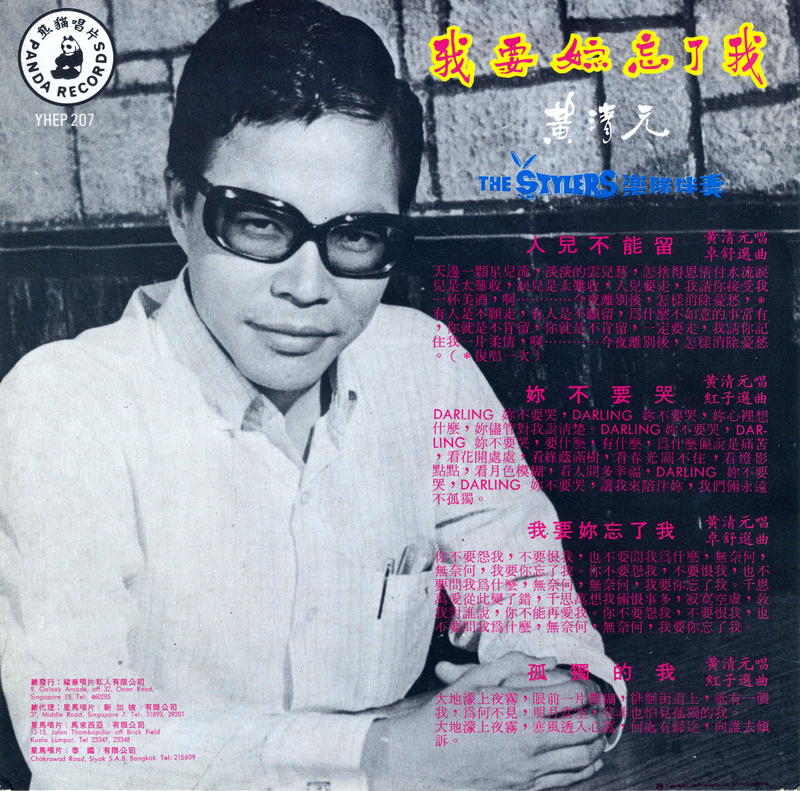 A proud Singaporean by birth, Huang Qing Yuan (or as his name is sometimes transliterated on the record sleeves, Wong Ching Yian) began singing and performing in talent shows at the age of seven and continues to perform in lounges in downtown Singapore, though he now also acts as a manager to younger singers (he has used the same stage name his entire life). Dapper and gregarious, Mr. Huang met me before a show at the lush Topps Lounge, situated in a swanky downtown hotel, which has been his regular gig for several years. His voice is still robust, with a round fullness in his delivery of notes that borders on the operatic—in addition to a-go-go, Mr. Huang is also well known for his “sentimental” songs (his word). With a career spanning nearly forty years, he has recorded over 800 songs, often translating lyrics from other languages or Chinese dialects himself. He helped to usher in the a-go-go era and claims to have been the first to discover the popular instrumental guitar band The Stylers—he would perform with the band throughout the period. In the 1970s, when Sony launched its first color television set in Singapore, it asked Mr. Huang to sponsor the product. He appeared in a television advertisement that features him performing live in front of an array of Sony color TVs. 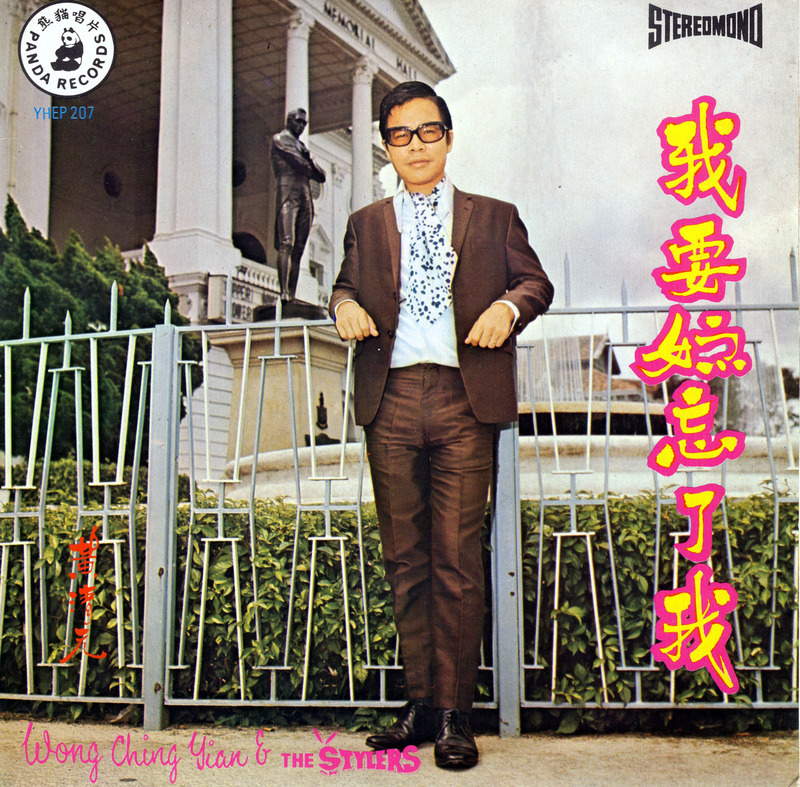 The Elvis of Singapore (as I often heard him called) would also lead tours of other popular Singapore-based performers into Malaysia, including the comedians Wang Sa and Yeh Fung as well as popular instrumental bands. 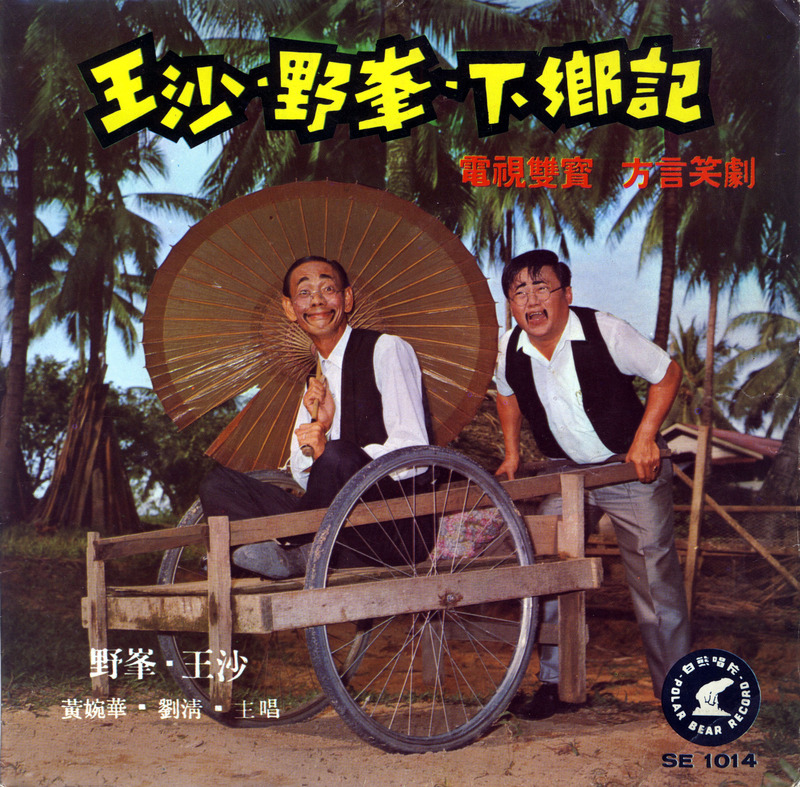 They would put on live variety shows in Chinese communities—this not only helped to promote Singaporean music and stage acts, but would also prove vital in spreading the a-go-go sound beyond Singapore’s borders. 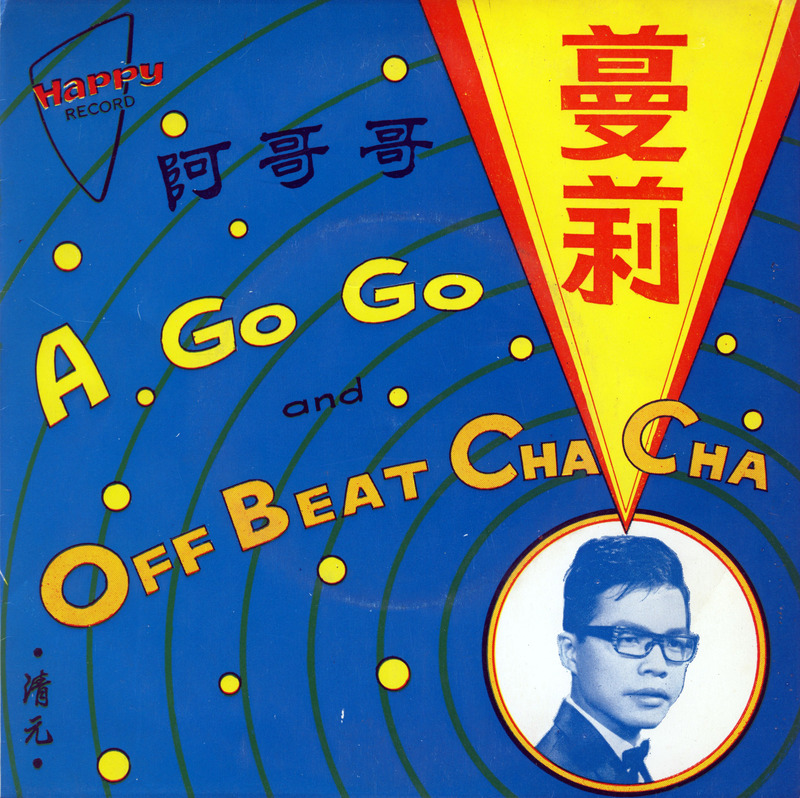 Most of these activities were happening off the radar screens of the major recording labels (though EMI did press a few a-go-go records), leading to an incredible proliferation of independent record labels in both Malaysia and Singapore—at the height of the craze, dozens were producing a-go-go records. The two most popular labels in Singapore itself were Polar Bear Records, Panda Records (whom Mr. Huang often recorded with) and Sakura Records, none of which still exist, though Sakura Record’s parent company, Fusan Records and Radio, remains in operation—as an electronic and CD/DVD karaoke music store above a hawker center.